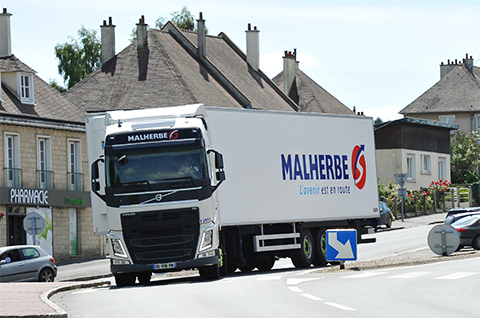 Malherbe takes care of all of your merchandise logistics and offers personalised solutions for your publicity distribution, merchandising and operational marketing. Our made-to-measure offers are adapted to your specific needs and markets in order to guarantee the speedy delivery of all your goods. Reception and delivery of goods. Management and preparation of orders (picking, co-manufacturing). Quality and conformity checks for products. Preparation of promotional or sample packs (kitting). Design and assembly of PLV, filling of presentation stands. Reconditioning (co-packing, co-manufacturing), shaping, labelling. Mail-shots and manual or automatic sorting. In order to adhere to safety norms, our warehousing spaces all have adaptable flooring, which can be reformed according to specific requirements. 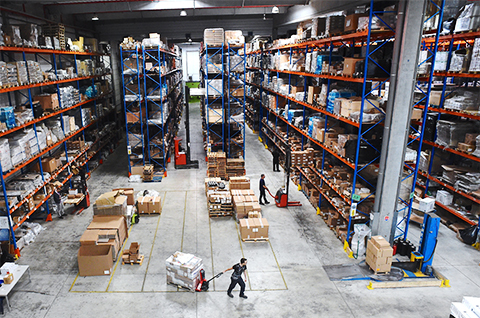 The goods are stored in specific zones according to either the client’s specific activity or distributed according to product category, enabling us to store a very wide variety of different types of merchandise (including those that are hazardous or cannot be palleted). Our client-dedicated teams are all hard-working and highly professional, and all adhere strictly to your manufacturing guidelines. Very careful management of your orders and operations, whether of a small or large nature, and double quality control, assures only the highest level of logistics services. Our safe and innovative database enables us to keep track of your goods from a distance both day and night. 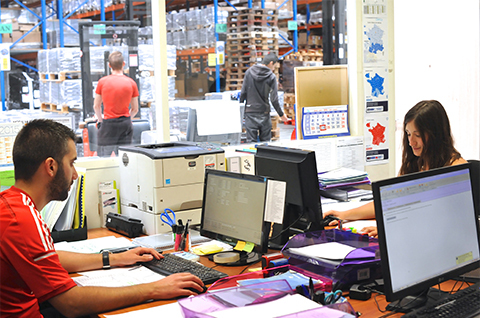 Through continuous technical development, this system has also been linked directly to our Transport Management System (TMS) and Warehouse Management System (WMS), enabling us to easily adapt our solutions to your specific product type. A project management team monitors the efficiency of our processes and confirms that everything is in compliance with regulations on a daily basis, using Key Performance Indicators (KPI): service statistics, respect of delivery times, etc. Our continuous innovations and improvements to service standards guarantee continued competiveness and satisfaction.